VMT International offers high-quality VemaTRACK products, fast delivery and highly competitive prices. But there is more. We think that good relationships with our customers are vital. That is why we offer all our dealers top-level service, flexibility and support. Our advisers have many years of experience and a comprehensive knowledge of the VemaTRACK products. Furthermore, our market-oriented approach enables us to help you optimise your sales. Our secure and user-friendly dealer portal is only open to VemaTRACK dealers. The dealer portal provides access to a summary of all VemaTRACK products and the current stock, prices and specifications of the undercarriage parts and rubber tracks can all be seen at one glance. You can also immediately order your selection of products online! Unique to our industry, we enable you to firmly position your organisation and optimally present the VemaTRACK brand. We can offer you all kinds of advertising products such as VemaTRACK flyers, brochures, ads, gift articles, website banners and exhibition displays. And we offer matching marketing support for all our products. NOT A VEMATRACK DEALER YET? 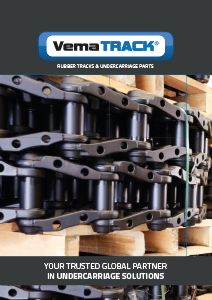 Are you a dealer of undercarriage parts and/or rubber tracks, but VemaTRACK doesn’t feature in your range yet? Then why not become our partner and let your customers also enjoy the advantages of VemaTRACK quality and attractive prices. Our experience, knowledge, and high service level make us uniquely well-suited to adjusting our products and support to your, and your local customers’, needs and requirements. VemaTRACK is a very strong brand that will make an ideal addition to your range. VMT International offers comprehensive personal service to support you as a VemaTRACK dealer. A user-friendly dealer portal provides access to a summary of all VemaTRACK products where the current stock, prices and specifications of the undercarriage parts and rubber tracks can be seen at one glance. And we provide extensive marketing support to enable you to reach your local market in the best way possible. Yes, I want to be a dealer! 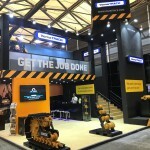 Thank you for visiting Bauma China, see you in Munich. Not registered as a VemaTRACK DEALER? Do you have any questions or would you like to have some more information about VMT International? Fill out the information below and we will contact you as soon as possible.